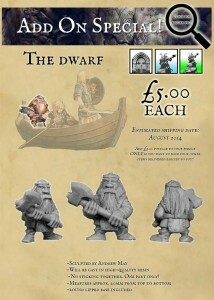 JoeK Minis brings more dwarves into your life with a new dwarf add-on for their Trolls of Trudvang Kickstarter campaign. The second hero to confront the trolls has arrived, and is available to add on to your pledge. Sculpted by Andrew May and at a measly £5, why not add this stout fellow to the party!